It serves to remind us what can happen when racism and anti-Semitism get carried to an extreme. But the theme of the “Forbidden Music” project for all the tears and sorrow it engenders for the victims also sends a message of hope because the Nazis are gone and Jewish composers are flourishing. Ironic that the guiding spirit behind the project is a man named Hope. 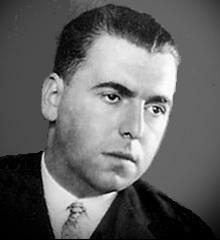 Erwin Schulhoff; Jewish Czech composer and pianist. The New Century program he put together was satisfying though somewhat tricky. It was not exclusively the works of murdered Jewish composers as I had anticipated. There were two works by two victims—Erwin Schulhoff and Hans Krasa who both died in concentration camps—but also pieces by Felix Mendelssohn, Dmitri Shostakovich and Maurice Ravel (encore). Mendelssohn, who was Jewish, made some sense because his work was banned by the Nazis, thus Forbidden Music. But his inclusion seemed a stretch, a program filler to make up for the lack of composers on the program who paid the ultimate price under the Nazis. And Mendelssohn did not suffer because of the ban on his music—the Germans did! 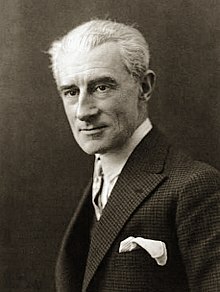 Shostakovich and Ravel—both non Jews—composed music with Jewish-related themes that were not ‘forbidden’ in any meaningful sense of the term. Still the evening was a grand success. The first point to be made is how lucky New Century is to have a great artist like Daniel Hope on board as Music Director and Concertmaster. 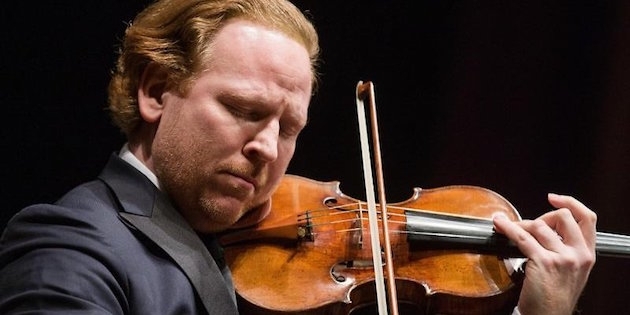 The man is a terrific violinist, an extraordinary musical personality and an intellectual who no doubt will bring this unusual ensemble to new heights in the coming years. The 1927 Schulhoff concerto for piano and violin (originally written for the flute) was the evening’s central attraction. Mr. Hope gave the piece an interesting introductory talk pointing out that Schulhoff, a Czech Jew, was an ardent habitué of Paris dance halls, admitted going every night, dancing until closing and then heading home to write music. Hope did this no doubt to underline the strong dancing element in work. For musical historians, the main interest of the Schulhoff Double Concerto is as an exemplar of a particular type of experimental music that was developing in Europe in the late 1920s that combined neo-classical music forms, atonal music and jazz. Schulhoff was one of the leaders of the group that included names like Paul Hindemith, Ernest Bloch and Ernst Krenek. Amsterdam’s Concertgebouw Orchestra appears to have had a special relationship with this avant-garde group of composers; Hindemith débuted his violin concerto there in 1940 and Schulhoff apparently gave a memorable performance of his double concerto in Amsterdam in 1930. Alas, the work of most of this avant-garde group has mostly disappeared for at least two reasons. One, the Nazis killed off some of its most prominent exponents like Schulhoff; and, two, for the most part the music they wrote was not good enough to last. It was for a particular time and place and that time and place had past. I find what Poulenc and Ravel did with jazz themes, for example, much more interesting than what Schulhoff was doing in this work. I love music from this period but the Schulhoff piece, I am afraid, is not one of them despite talented advocates like Mr. Hope and the outstanding Venezuelan pianist Vanessa Perez. The story it has to tell is not as interesting as to me as, say, the one Hindemith tells in his great violin concerto. One problem is that the piece has much of a light and airy Paris dance hall feel to it when it is played by the flute, not the violin, which dampens the music’s buyont spirit. I liked the YouTube flute-piano version much more than the violin-piano transcription we heard at Herbst. From a purely musical point of view, I found the Shostakovich the most stimulating and the Ravel “Kaddisch” the most moving of the evening. Hope brought deep intensity and ravishing tone to the mournful “Kaddisch” (Jewish prayer for the dead). A beautiful performance! The Shostakovich Chamber Symphony (1960-1967), transcribed from his String Quarter #4 by Rudolf Barshai in 1960, is an startling, threatening work that frightens and amazes. Themes that are strikingly Jewish in melodic inflection and rhythm appear in many parts of the work but there is nothing forbidden about the work which really is an elegy to Shostakovich himself. Let’s not quibble: All in all, a very interesting, worthwhile and entertaining evening!